Caparra was established because of its proximity to the gold mines. The golden color represents the mineral wealth of America. Emerald green represents the lush vegetation that the Spanish settlers admired as their boats reached the island of San Juan. It embellishes the central shield outline and it served as an inspiration for the decorations of the instruments, weapons, utensils, armor and iron works. 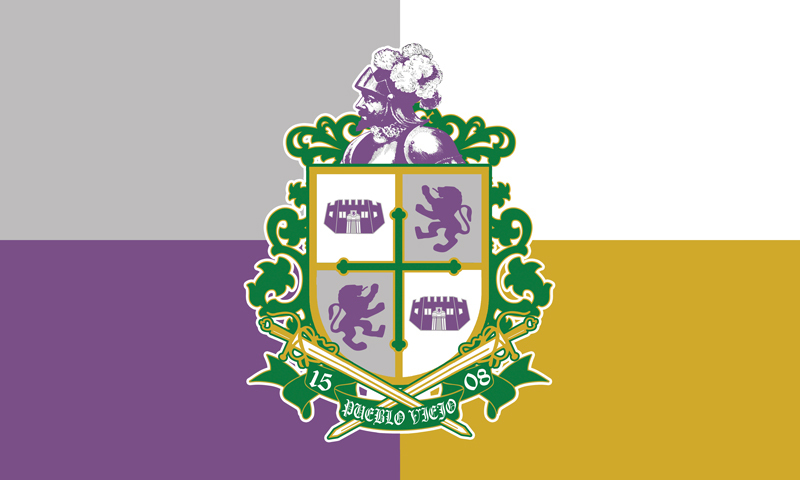 It is one of the oldest heraldic colors of Guaynabo. White represents the purity of Christian spirituality brought by religious people to convert the indigenous inhabitants and establish the first Catholic Church of Puerto Rico. The silver color represents the metallic armors, utensils and instruments. It also represents money or coins used to make economic transactions. Gold and silver were kept in the first castle built in America. Moreover, it represents the field of the shield of Juan Ponce de Leon. The silver color is one of the oldest heraldic colors of Guaynabo. The five stars represent the five most notorious areas of the neighborhood: industry, sports, culture, history and the Scout movement. Yellow symbolizes the light of the Sun. It represents the joy, happiness, intelligence and energy. In Heraldry yellow represents honor and loyalty. 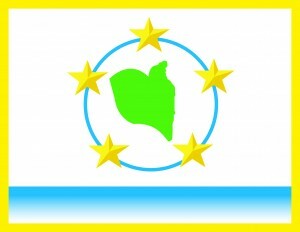 It symbolizes the union which encloses a neighborhood committed to its people, is a symbol of perfection and protection. 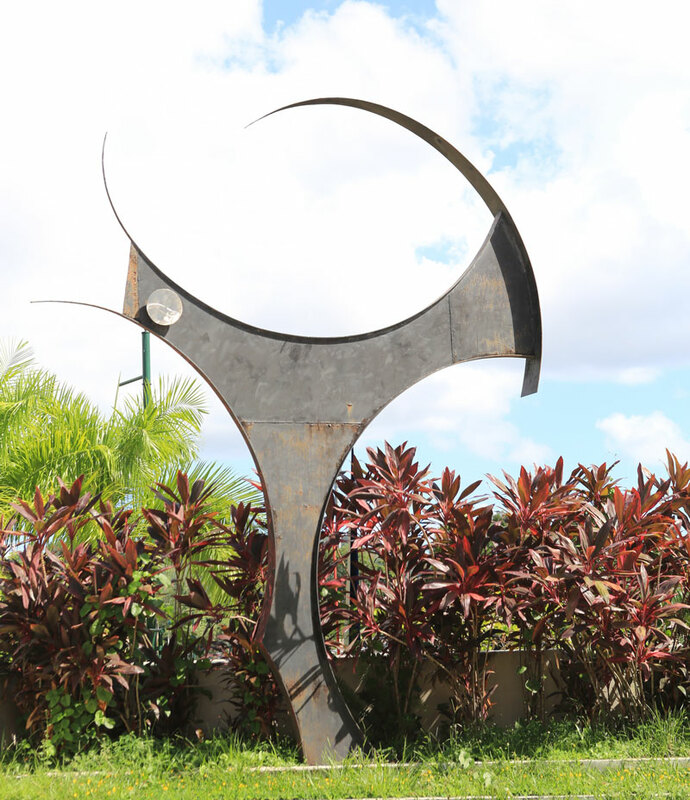 It represents the neighborhood’s area within the municipality of Guaynabo; the green color represents the environment, nature’s conservation and hope. In heraldry, green is called vert and it represents growth and hope. The waves represent its coastal geography. The white color symbolizes peace. In heraldry, white represents faith and purity.